Cupcakes are coming to White Marsh. The Avenue at White Marsh has announced that Smallcakes Cupcakery will soon be opening its doors there. Jeff Martin founded the popular chain that bakes and frosts 18 signature flavors every morning, fresh from scratch. Smallcakes features seasonal and special flavors created by Martin. After appearances on the Food Network’s “Cupcake Wars” seasons one, two, and seven as well as on the daytime talk show “The View,” Smallcakes Cupcakery became well known across the nation. Many celebrities have had Smallcakes at their events and weddings. 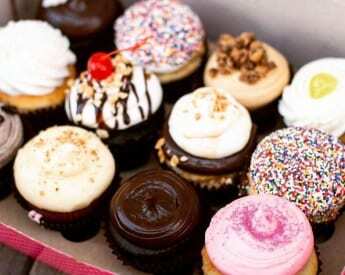 USA TODAY listed Smallcakes Cupcakery as one of the Top Ten Cupcake Places to try in the country. The new shop will be located next to Slice on The Avenue and should open by the end of the year.